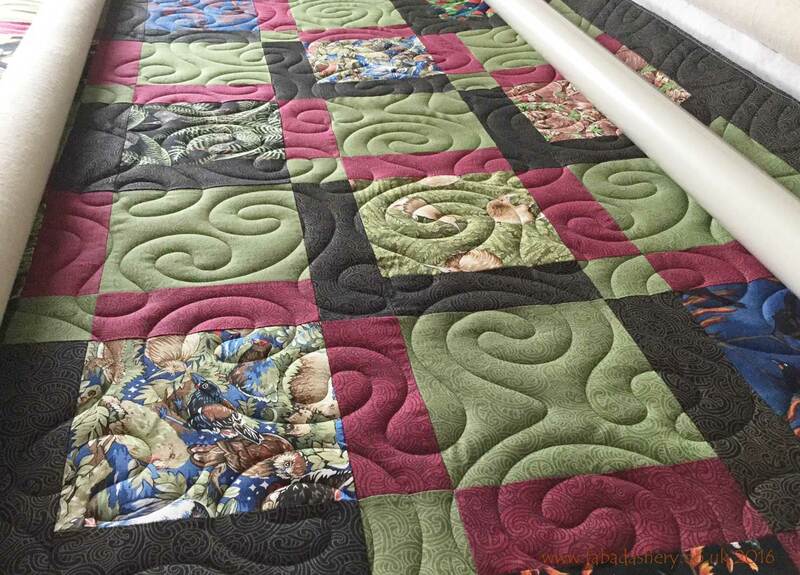 Here is a picture of Dorothy's amazing 3-D Boxes quilt in the process of being quilted whilst on my longarm quilting machine. 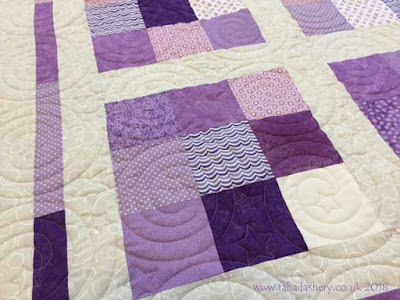 She made it at a workshop with Jan Hassard. 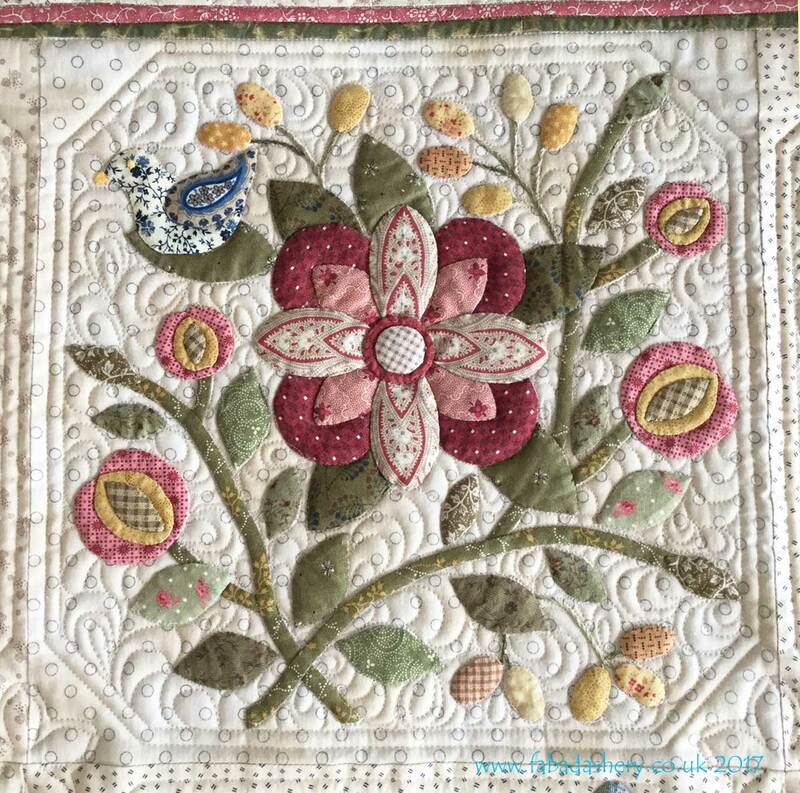 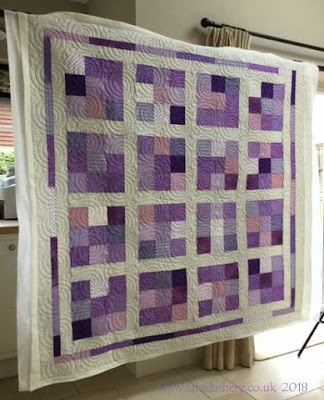 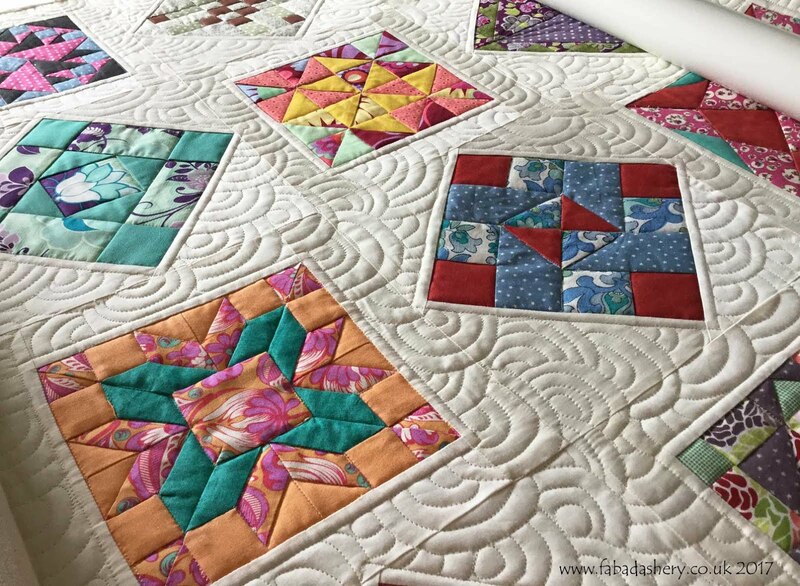 Jan Hassard is based nearby to me in Bristol, UK, so I have had the pleasure of quilting several quilts which have been made as a result of her workshops, I have even done one of my own! 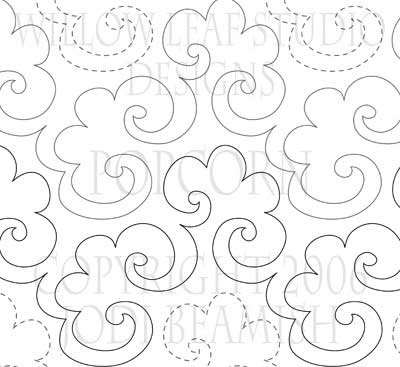 The designs are so striking that they deserve a striking design, so the ever poplular 'Modern Curves', designed by Anita Shackleford, was used. Another stunning result! 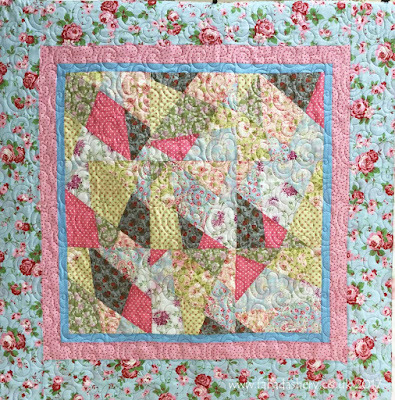 Pat's Stack and Whack quilt with 'Popcorn' digital quilt pattern. 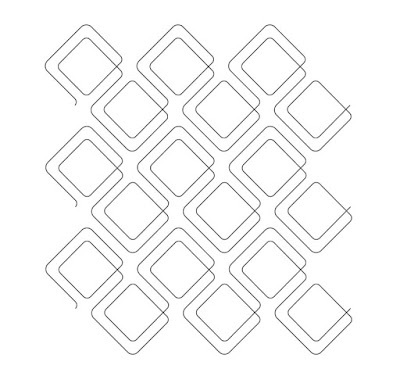 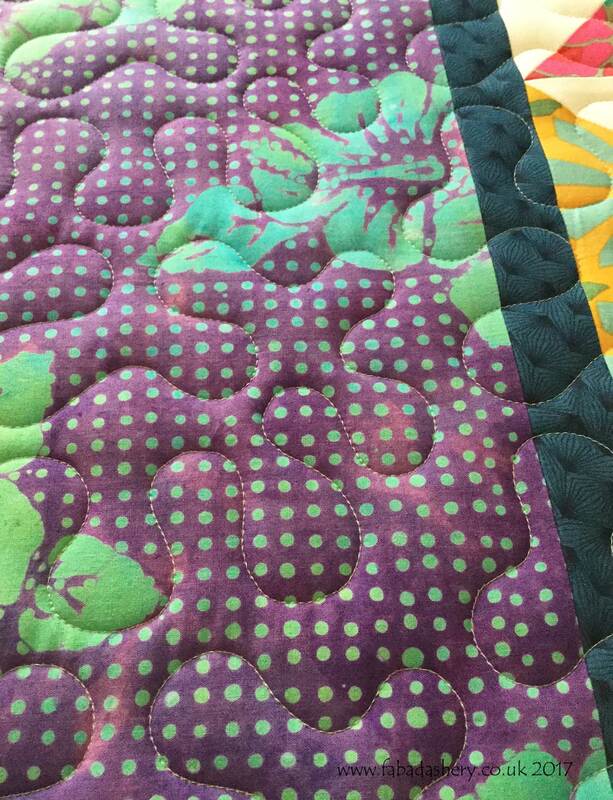 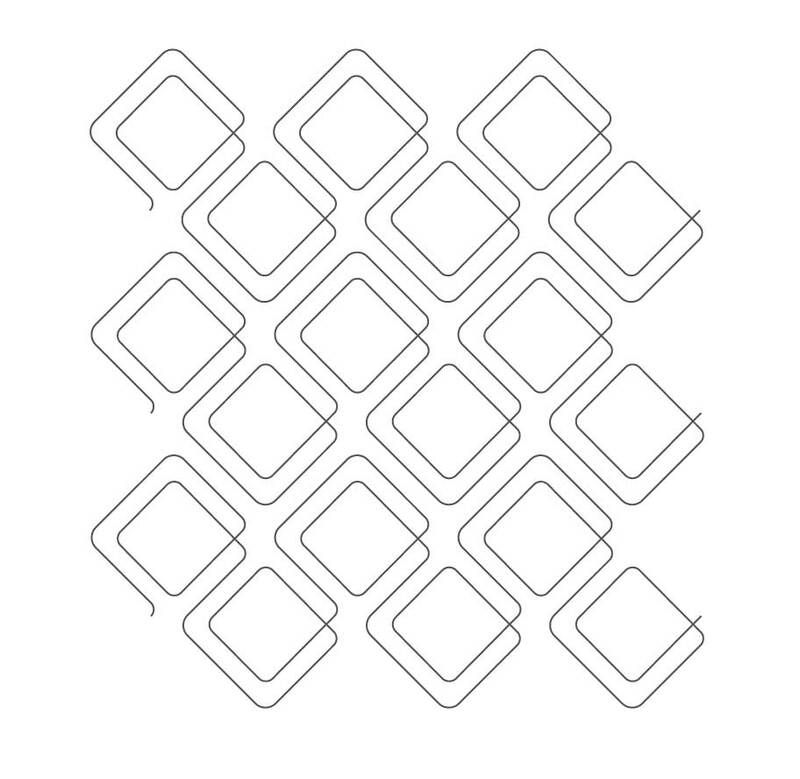 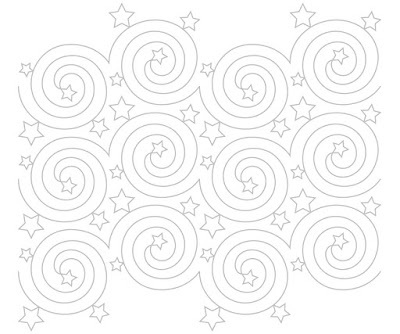 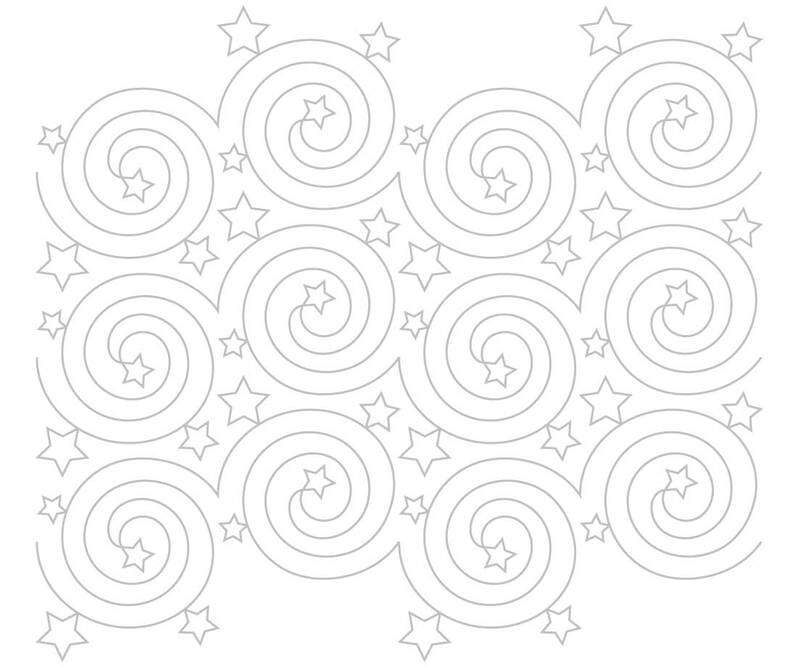 An allover digital quilting design done on a longarm quilting machine is a great way to finish a quilt with an irregular pattern, like a Stack and Whack quilt. 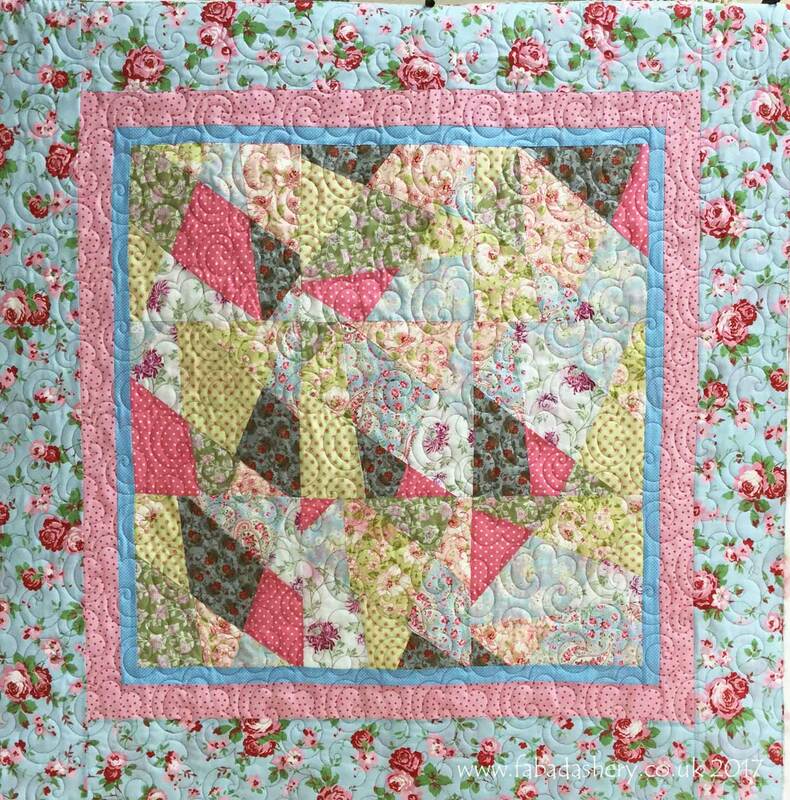 The quilt pattern she chose was 'Popcorn' by Clothwerx for Willow Leaf Studio. 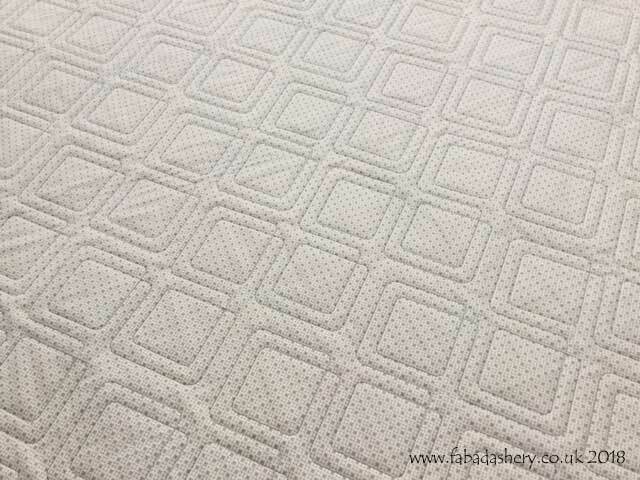 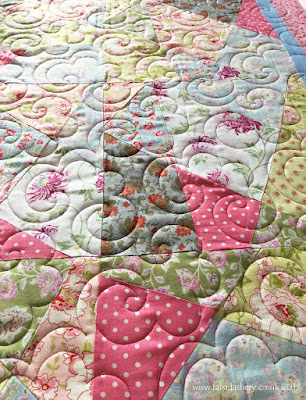 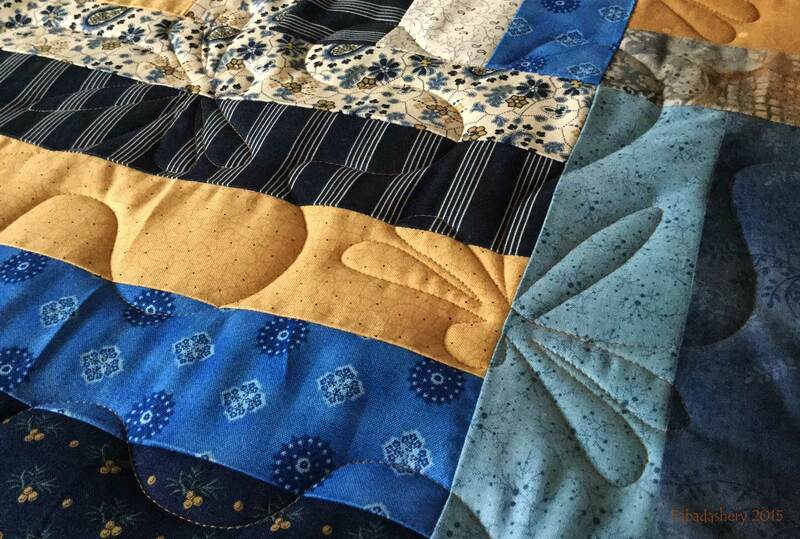 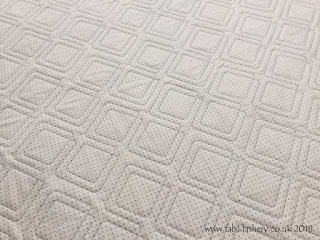 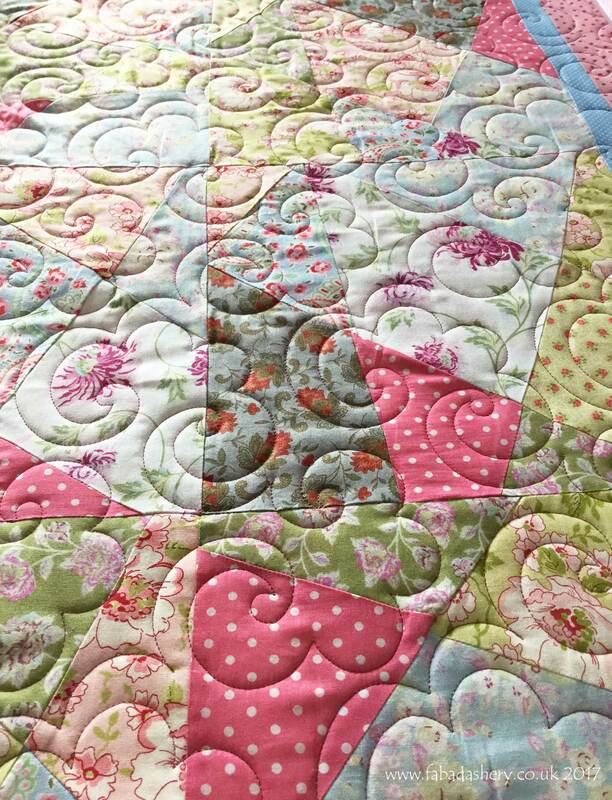 It is a popular design and always looks delightful once quilted. My Nearly Insane quilt has been out and about again, this time to the British Quilt & Stitch Village 2018 at Uttoxeter, UK. 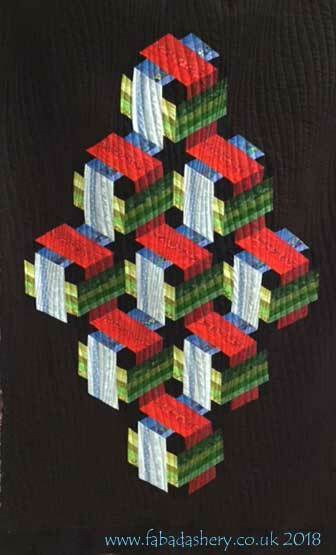 I had a call on Friday to say that it had won second place in the Traditional Quilt Category and I was over the moon. 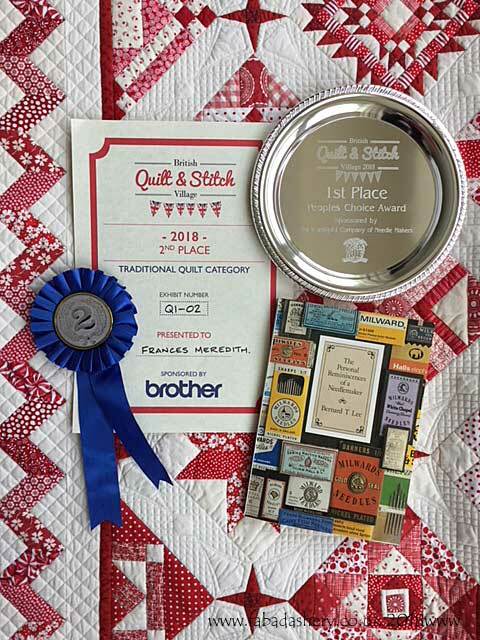 I headed up there on Sunday to pick up the quilt and attended the prize-giving, only to discover that I had won the People's Choice Award, based on the vote of those who had attended the show. 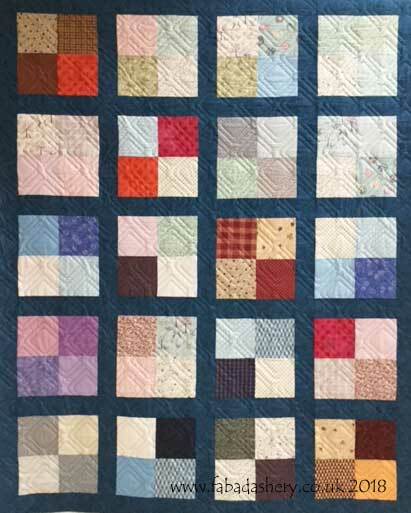 Along with a silver platter and a cash prize I also received a copy of a book on the history of the needle industry. 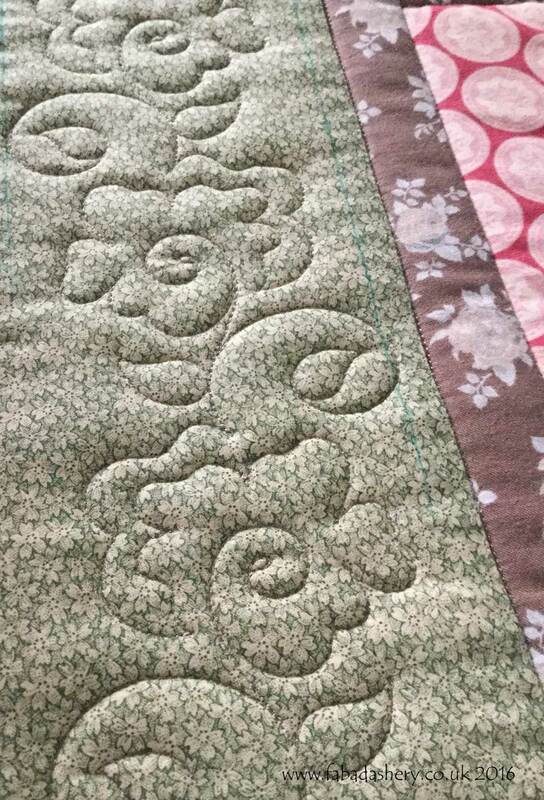 Making a quilt for man? 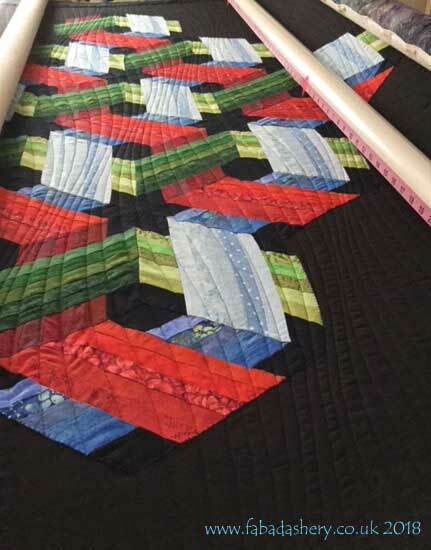 Have you ever struggled to make a quilt for a man? 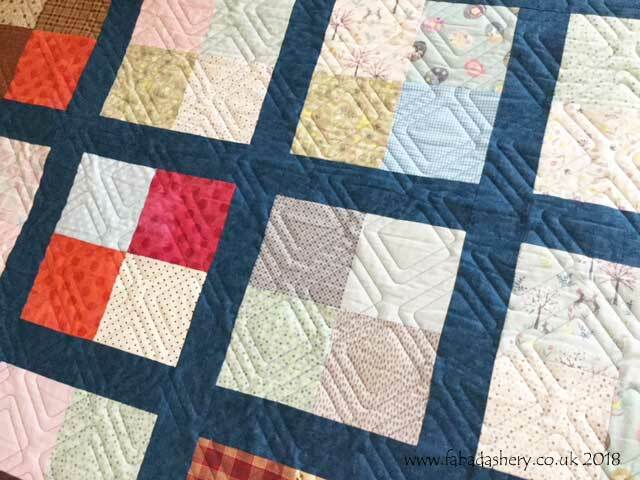 Elaine has made this great quilt for a male family member, using up her charm square scraps and a great denim coloured sashing. 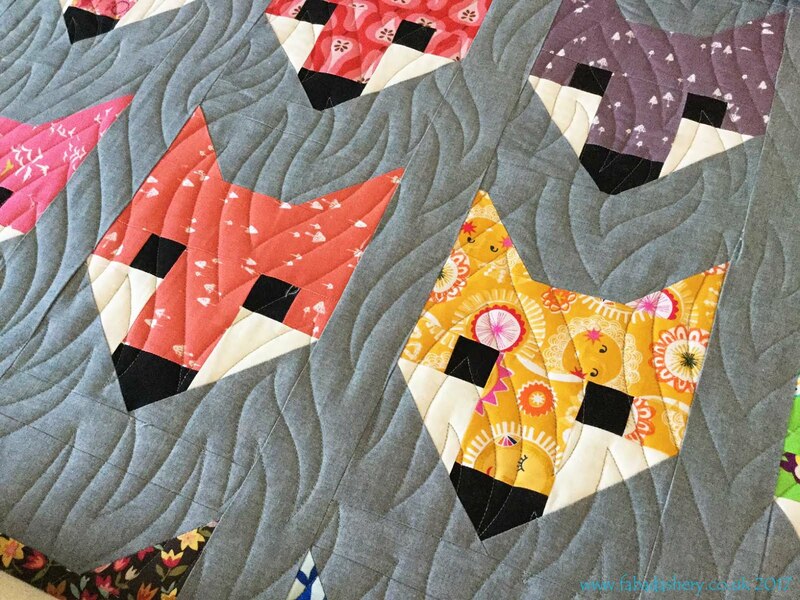 Amongst my digital quilt design library, which you can view on Pinterest, I have an ever growing selection of designs which are simple, modern and great for a wide range of quilt styles. For Elaine's quilt, we chose a simple, but graphic 'Diagonal Plaid' pattern which gives an overall look of crosshatch quilting. 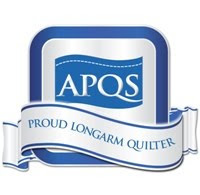 The overall size of the quit was 62" x 78", with Hobbs wadding and stitched with a Persian Blue Glide thread. 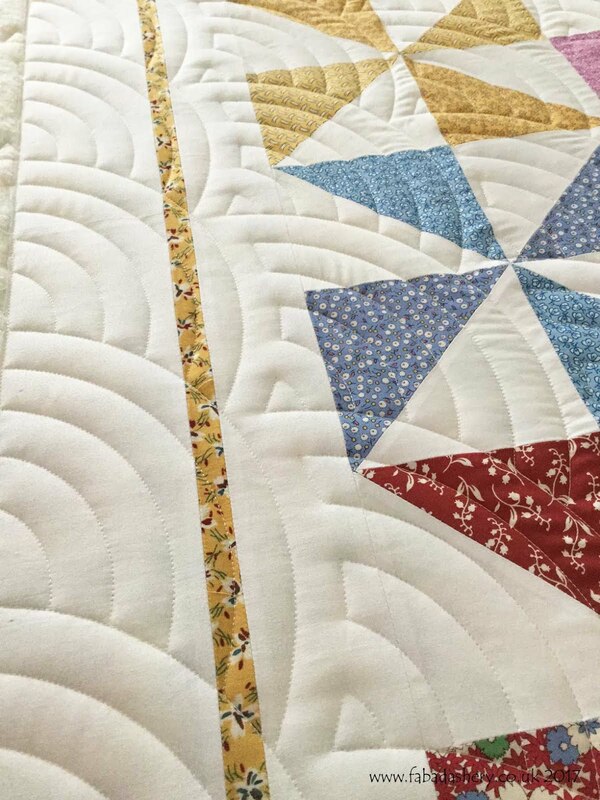 Here you can see the 'Diagonal Plaind' digital pantograph pattern stitched out on the back of the quilt - a great quilt of its own.